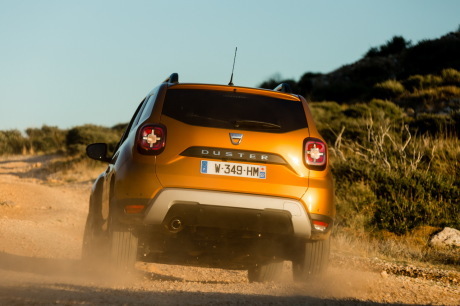 The new Dacia Duster is now available with a motorization GPL, charged from 12 790 €. 2 153 €), not to mention the savings on the cost of fuel. On the other hand, the old 1.2 TCe 125 is no longer available, fans of gasoline no longer have a choice in waiting for the arrival of the new 1.3 TCe 130 and 150 hp. Side diesel, recent engine 1.5 Blue dCi 115 can now be associated with the awd. It thus remains the sole 4×4 version of the Duster currently in the catalogue, since the 1.5 Blue dCi 95 and 1.6 SCe 115 are only available in traction. The Duster is offered with four finishes : Duster, Essential, Comfort and Prestige. In essence, if the GPL version is available with all finishes, the standard version of the block SCe 115 is only with the first two levels, Duster and Essential. It is the same for the small diesel Blue dCi 95. Rates start as well to 11 990 € in petrol and 14 350 € for diesel. The malus ecological range from 1 153 € 2 153 € in petrol, while in diesel, only the 4×4 version of the Blue dCi 115 sees taxed of €73.